I have been really trying to pay attention to textures lately. 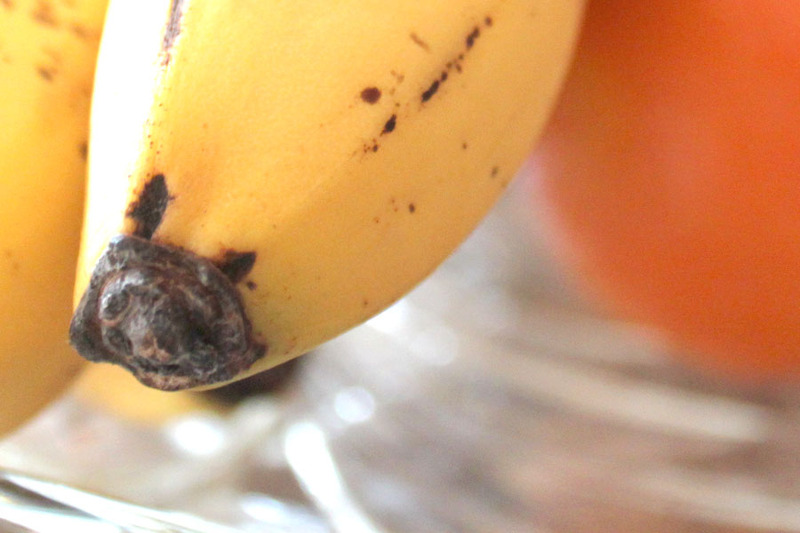 As I was wiping down my counter I noticed this banana in my fruit bowl. At first I noticed that it was getting black, then I noticed the texture of the black. Finally I noticed the end. The texture of the end was fascinating. Yes, it is almost a gross texture, yet it fascinated me, so I snapped a photo. I have been playing with the levels in my Photoshop Elements trying to improve my photos. This one I de-saturated the photo to really bring out the texture. Are you paying attention to textures? Capture them with your camera.